bed 4 · bath 4.5 · SLEEPS 12 · From $1.400 TO $3.000 usD per night + tax. 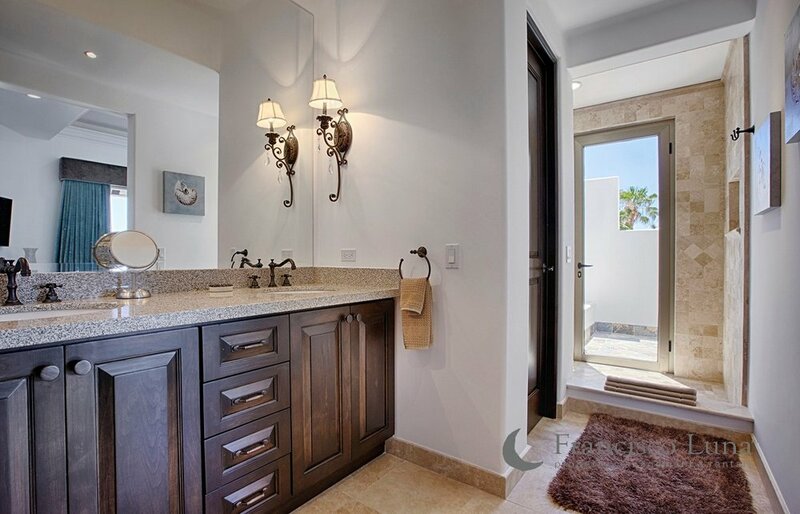 This brand-new villa in Pedregal offers incredible, sweeping views of the Pacific Ocean and the Pedregal beach.What will amaze you the most is that even at this elevation, you will still spend the day listening to the sound of the waves crashing. This home delivers the best of both worlds in a beach property: monstrous views and the ability to fall asleep to the sound of waves crashing. No noise machines needed to go to sleep here! From the moment you walk in the door, you can feel the owner’s Southern hospitality in the warm colors and deep cushions of the decorations and furniture. Hand-picked in Guadalajara, every item in Casa Delfin speaks to the comforts of home. The main floor is home to the kitchen, dining, and living areas indoors. 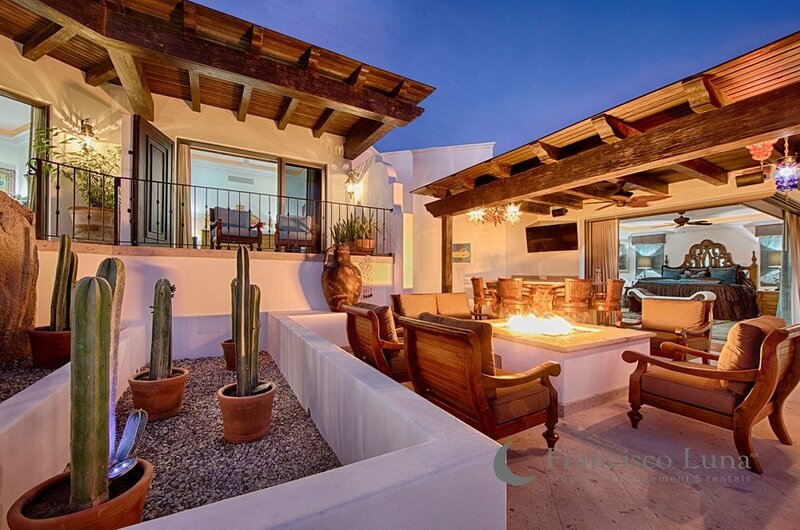 As you step through any of the wall-to-wall sliding doors, you find yourself immersed in the warm Cabo sun and the views that brought you to Cabo in the first place. 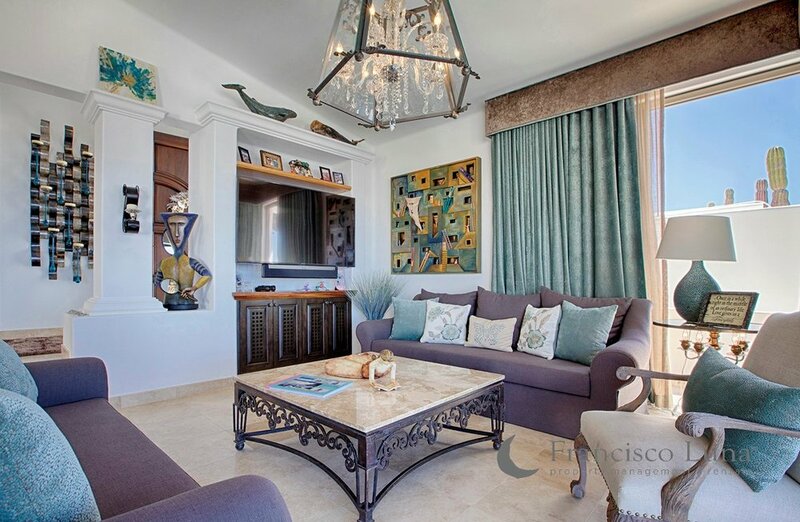 On the second level you will find 3 bedrooms including the Master Bedroom, all surrounded with incredible views and the most cozy common areas of any villa in Pedregal. Beautifully colored outdoor lighting, televisions in all areas, fire-feature, pool, Jacuzzi, and many more features all come together to maximize your comfort and fun. 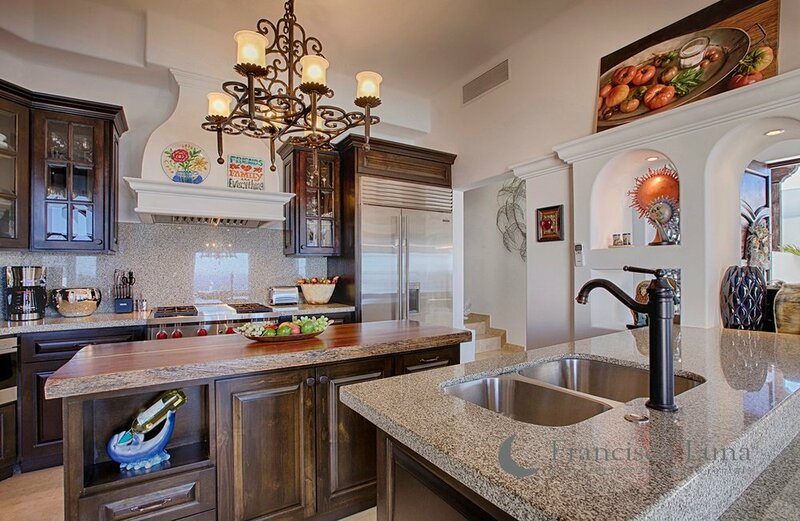 From the smallest of details to the monstrous views, Casa Delfin is built for your enjoyment.